iD Mobile is provided by the Carphone Warehouse and uses the Three network, this gives you great covergare and super fast 4G speeds. They offer pay monthly customers a free data cap, free data rollover and flexible data roaming in over 50 EU destinations. Check out the latest iD Mobile pay monthly deals below to see what great plan you can get today. Compare the latest and best iD Mobile Pay Monthly deals available right now using our handy comparison table below. When you find one you like, just click Apply Online to sign up. 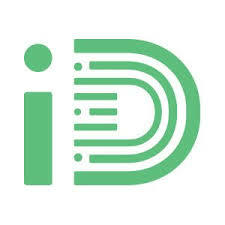 iD mobile is provided by the carphone warehouse and uses the Three network providing great network coverage that is reliable and fast. The pay as you go feature is a great way to ensure that you never overspend on your plan, with plans start from just £5 per month and can be tailored to your exact needs these plans are a firm favourite amongst many due to their budget control and superfast service. Check out the latest iD Mobile Pay Monthly deals using the table above or view all iD Mobile deals here.